Your credit score can means the difference between securing a historic low interest rate on a loan and being stuck in a higher tier. Great credit scores are the result of one thing—a stellar credit history. More than 18% of consumers have near perfect FICO scores (800-850). * While it may seem difficult to reach this level, especially for the 15% of consumers in the lowest FICO range (300-549), it’s not impossible. 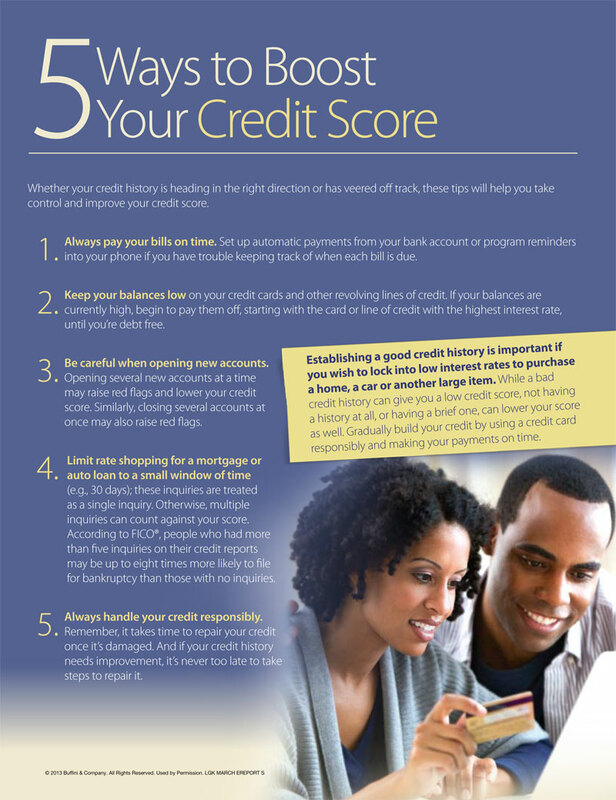 The information in this month’s newsletter details the steps to take to begin improving your credit now. Page one gives the facts about credit, including the information that comprises your credit score. Page two offers three tips that will help you to improve your credit.